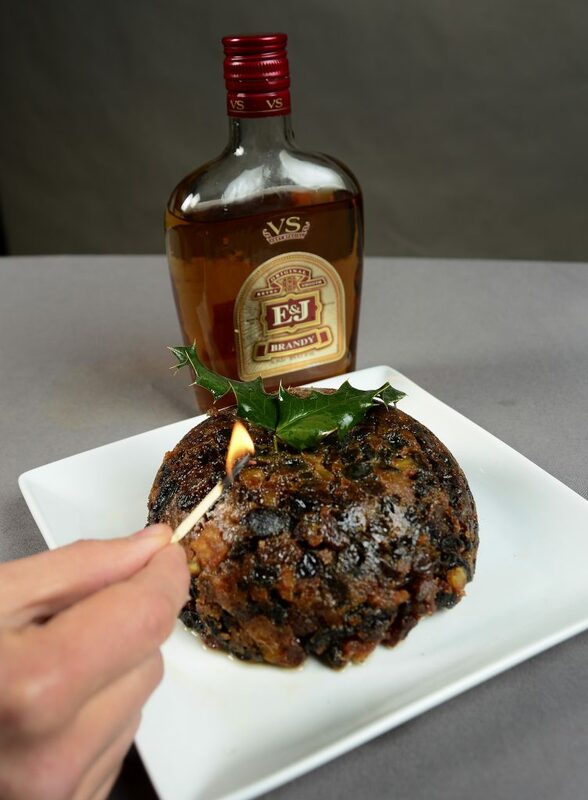 Figgy pudding is warmed by pouring brandy on it and then lighting it. Traditional Christmas songs and literature have references to mysterious foods we imagine but have never eaten — or even seen — for ourselves. In this holiday series, we will explore a handful of these foods and find out what they are and why we sing about them. Some of us have been demanding figgy pudding for many years now during the Christmas season and have yet to be presented with any. In the grand tradition of culinary misnomers, the traditional British dessert contains neither figs, nor pudding. Rather, figgy pudding is more of a fruitcake with mincemeat tendencies. In other words, something few of us would joyously request for our caroling efforts. Figgy pudding is also known as plum pudding. And no, it doesn’t contain plums either. “Plum” was a pre-Victorian term for any type of dried fruit, according to Debbie Waugh, via NPR, with raisins and currants being used most frequently these days. Figs may have been used in the past, but they aren’t common now. And pudding? That’s what the British call all their desserts. And in this case, that dessert is a cake –, one full of “plums,” or dried fruit. So, a fruitcake. 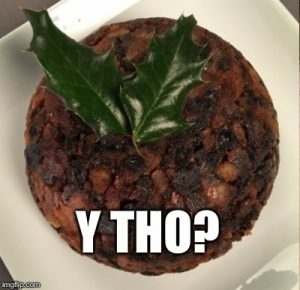 Typically steam baked, figgy pudding was made the Sunday before Advent in order to allow the flavors of the dried fruit and alcohol to deepen, according to Erin Blakemore, via Smithsonian.com. The pudding is stored in a dark, cool place and is warmed prior to serving. The next step is possibly why the carolers in the song were so worked up about this dessert. The cake traditionally is doused in brandy and lit aflame to the applause of all at the table. 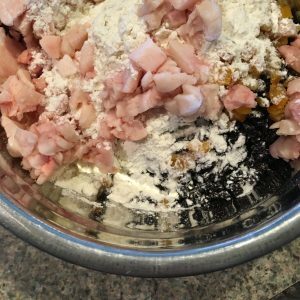 To a large bowl, add all dry ingredients and mix well. Stir in the eggs and brandy. Grease a 2-liter pudding basin and pour in the mixture. (A heat-proof metal or pyrex mixing bowl with a lip at the top can be used instead.) Place baking parchment over the bowl and aluminum foil over that. Crimp down the edges and tie it securely with a string. Put the basin into a large steaming of boiling water. 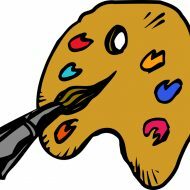 (If a steamer isn’t available, a trivet or small inverted plate can be placed on the bottom of the pot to raise the pudding basin up.) Boil for 5-6 hours, replenishing water as needed to keep the pot from boiling dry. Cool pudding. Store covered in a cool, dry place for 4-5 weeks. (It can be consumed the next day, if needed.) Steam pudding for 1-2 hours before serving. Place on table, douse with brandy and set aflame. Making a figgy pudding is equal parts thrill and disgust. There is thrill in the attempt to locate the necessary ingredients, disgust in realizing you’re not the only one who asks for suet from the meat counter, thrill in wondering what the mixture will look like, disgust in finding out, thrill in discovering how to steam bake something and disgust with Great Britain for coming up with unnecessarily ridiculous cooking methods. Frankly, it’s no wonder the colonists had had enough of the place. The final presentation was the grand culmination to this failure of a dessert. I doused the cake in brandy and held a match up and — . Yeah. Nothing. I doused more. More matches. More brandy. More matches. Nope. These fumes were not going to light. And the morsel I sampled was no consolation. It was like eating a mass of spicy raisins sprinkled with brandy. Thanks, but I think I’ve had my fill of figgy pudding.